It’s felt like it’s been a long time coming, but today I took my first, tentative steps along the path of becoming a bona fide motoring writer when I started a week’s work placement at CAR Magazine. There was a sense of inevitability that my first placement would be at CAR. It was the first title I bought way back in November 1985, buying every issue thereafter. I’ve also been fortunate enough to acquire every issue prior to that one too, meaning I have a complete library of the magazine’s 49 year history. Growing up on a diet of Setright, Llewellyn, Bulgin and Bremner to name a few, deepened both my appreciation of fine writing but also my passion for cars. I approached CAR’s associate editor, Tim Pollard, in early September to ask about the possibility of a work placement during my half-term. The irony of being a 35 year old teacher having a week’s work experience was not lost on me, but it was something I knew I both wanted and needed to do to have any hope of getting my name and work better known in an incredibly competitive industry. The weeks of the first term seemed to go on forever, not helped by Ofsted deciding to pay us a visit for a full inspection the week before we broke up. Spending a week writing and being surrounded by infinitely more qualified car people than I would seem like a perfect riposte to the challenges of the classroom. 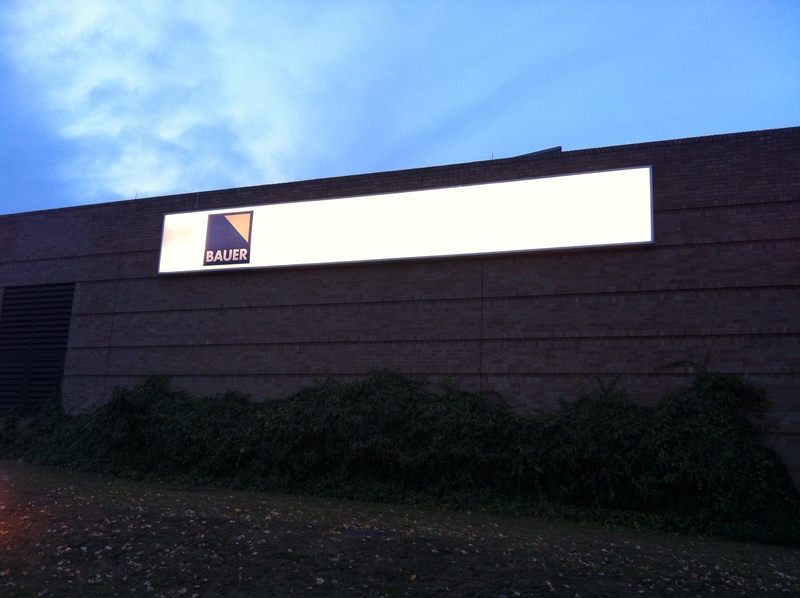 I arrived at Bauer’s impressive Peterborough headquarters an hour earlier than I needed to this morning. I’d worked on the basis half an hour would make me look eager and give me a sensible cushion should traffic be heavy. Typically, the traffic was anything but heavy and thus the drive from Lincoln took little over 60 minutes. Having no particular preconceptions about what I’d be doing today, it was great that shortly after Tim showed me around a bit to get my bearings and introduce me to the rest of the guys on the CAR team, I was straight into a writing task, producing short snippets to introduce third party news stories on the website. Presumably this went well because the tasks started to get passed with greater regularity. Next up was a story to accompany some spy shot photos (images of prototype cars out on test) of the forthcoming BMW 4 Series coupé. Typically, it was a bit of a quiet news day today, but a press release came through about an exhibition that’s running at the National Motor Museum at Beaulieu. Throughout 2012, a display celebrating 50 years of James Bond (the films, not the Ian Fleming novels) with 50 of the fictional spy’s most iconic forms of transport will be on show – the story provided the bones of another online post. What amazed me was barely an hour later, the story had been redrafted on an American website and that CAR Magazine was the quoted source of the post. The day was rounded off by producing a brief story about a car which is protected by embargo until 6:00am tomorrow (Tuesday 26 October) – look in the First Official Pictures section tomorrow to see what it’s about. Tuesday will start with a further update of the News Watch section, along with redrafting two of my own road tests into the CAR house style for inclusion on their website. Summing up Monday? A little weary but buzzing with excitement for the remaining four days. Many congrats. The start of something big. If you ever get the time to dig out the LKJS article on the Toyo tyres and scan if for me I’d be very grateful. Thanks David – much appreciated. Can you remember roughly when the article was from?